Made per request. 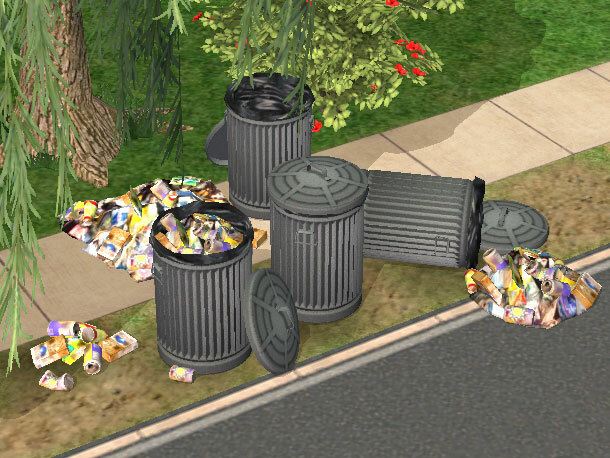 Fake decorative mailbox, trashcans, and trash piles. No expansion packs required. Found under sculptures. "View" option is removed. You can place them on locked tiles without a cheat code, will work even with OFB. 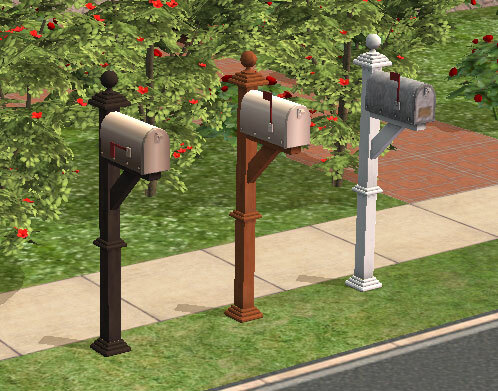 Fake mailbox and trashcan will use all the recolors of the original ones if you have them in your game. See this thread for mailbox recolors. CEP required. Don't use these instead of the real mailbox and trashcan. Trash piles will not lower room score. Do not to upload these files to any other site. You are welcome to use them in lots submitted to MTS2 or TSR.